Hyundai Motor just launched the all-new Sonata Hybrid, which wouldn't interest us if it weren't for the confirmation that next year a plug-in hybrid option will be unveiled. The conventional hybrid is scheduled to launch in major markets outside Korea, starting in the first half of 2015, so don't expect to see the PHEV until late next year.. Sales target is 55,000 in 2015 (18,000 in Korea and 37,000 overseas), so the PHEV version probably will be limited to just a few thousands units initially. "In line with Hyundai Motor Group’s target to become a global top 2 automaker in the eco-friendly car market by 2020, Hyundai Motor will expand its eco-friendly line-up in all segments by this time, all launched under the Blue Drive™ sub brand. 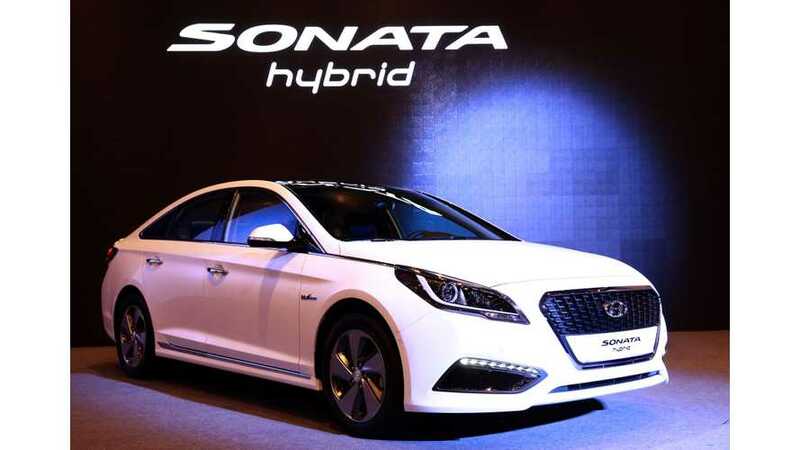 As part of this initiative, the all-new Sonata Hybrid will be joined next year by a Plug-in Hybrid variant of the Sonata, which will be Hyundai Motor’s first Plug-in Hybrid. The company also plans to introduce its first dedicated Hybrid model in the second half next year." "With the addition of the Plug-in Hybrid version, Hyundai Motor will offer a complete range of eco-friendly models, further boosting the model’s popularity. While the all-new Sonata Hybrid will make its North American debut at the 2015 North American International Auto Show, detailed information of the Plug-in Hybrid version will be also released at the show in Detroit, U.S."
Hyundai Sonata Hybrid is equipped with a 2.0-liter gasoline engine, six-speed automatic transmission and a 38 kW electric motor. According to the manufacturer, fuel consumption is 18.2 km/l. Lithium-polymer battery pack stores some 1.62 kWh and at this point we don't know what size to expect in the plug-in version. The all-new Sonata Hybrid is powered by an efficient Nu 2.0-liter GDI hybrid engine mated to a 38 kW electric motor. The gasoline engine delivers maximum power and torque of 156 ps and 19.3 kg.m, up 4 percent and 5.5 percent respectively, compared to the previous model. The 38 kW electric motor also delivers 8.6 percent improved maximum power, with maximum torque of 20.9 kg.m (205 Nm). With the upgraded engine and electric motor, the new model achieves a significant improvement in fuel consumption: a class-leading combined rating of 18.2 km/ℓwith 16-inch wheels (17.7 km/ℓ with 17-inch wheels). This engine transfers power to the road via Hyundai Motor’s innovative six-speed automatic transmission. The new unit – launched in October 2014 at the company’s annual International Powertrain Conference – houses almost all of the hybrid powertrain components within the transmission, minimizing energy losses and maximizing fuel economy. The transmission is fitted with a highly-efficient traction motor, while the torque converter has been removed. A lighter torsion damper, and new engine clutch, which features fewer clutch discs, reduce drag and contribute to a more efficient transfer and use of power. The most significant change to the new transmission to improve fuel efficiency is within the oil pump system. By removing the mechanical oil pump, which causes hydraulic losses, and replacing it with a new electric oil pump, the transmission automatically optimizes operation according to the driving conditions. The all-new Sonata Hybrid continues to utilize a lithium-polymer battery pack - which in 2011 made Hyundai Motor first automaker in the world to incorporate such efficient battery technology into production cars - now with a 13.3 percent higher capacity of 1.62 kilowatt-hour (versus 1.43 kWh). The battery has been relocated under the floor of the trunk, allowing for a flat trunk floor, creating a more useable cargo area, 10.5% larger than that of the previous model, with 60/40 split-folding seats. 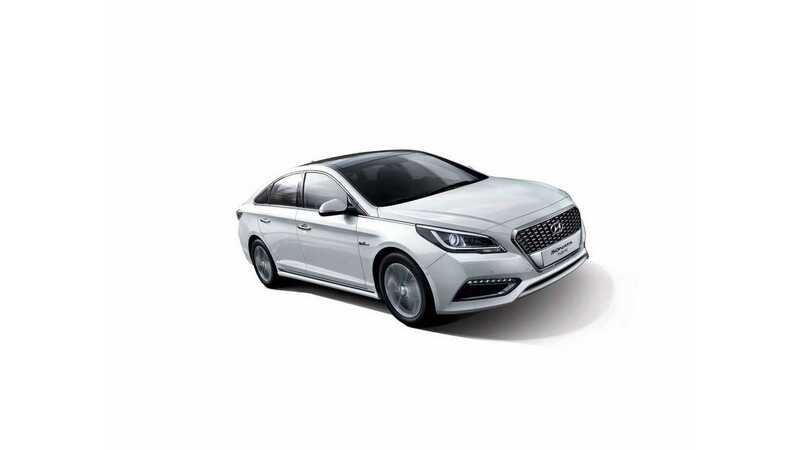 As implemented in the first Sonata Hybrid, the new model is based on a full parallel hybrid architecture. The advantages of a full parallel system allow Sonata Hybrid to generate electricity captured during low engine loads and regenerative braking system to power the electric motor. When the vehicle comes to a stop and the electrical load is low, the engine will shut down to eliminate idle fuel consumption and emissions. Compared to other mid-sized hybrid variants, the all-new Sonata Hybrid features a number of unique exterior design characteristics that distinguish it from non-hybrid Sonata models. As well as creating a unique design, these changes have a functional outcome, an exceptionally low drag coefficient of 0.24 Cd* for the all-new Sonata Hybrid, aiding fuel efficiency and stability (* Hyundai Motor’s own estimates). At the front, the larger, more sharply-edged hexagonal grille has a unique inner-grille pattern. The hexagonal grille, a hallmark of Hyundai Motor design, aids cooling and aerodynamic efficiency, while the new, slimline LED daytime running lights and HID headlamps echo the high-technology image. A distinctive chrome molding at the bottom of the doors helps to accentuate the Hybrid model’s sleek shape. At the rear, the revised, voluminous rear fenders flow into new, high-visibility LED rear lamp clusters. The design upgrades are completed with a unique, low-drag rear diffuser. New, streamlined 16-inch and 17-inch alloy wheels, together with a full underbody cover contribute to reduced airflow resistance. Compared to the previous-generation Sonata Hybrid, the all-new Sonata Hybrid is longer (+35 mm) and wider (+30 mm), with a longer wheelbase (+10 mm), allowing more interior space for occupants. The belt line that runs the length of the car has been lowered, with a more sharply raked A-pillar to emphasize the generous proportions. 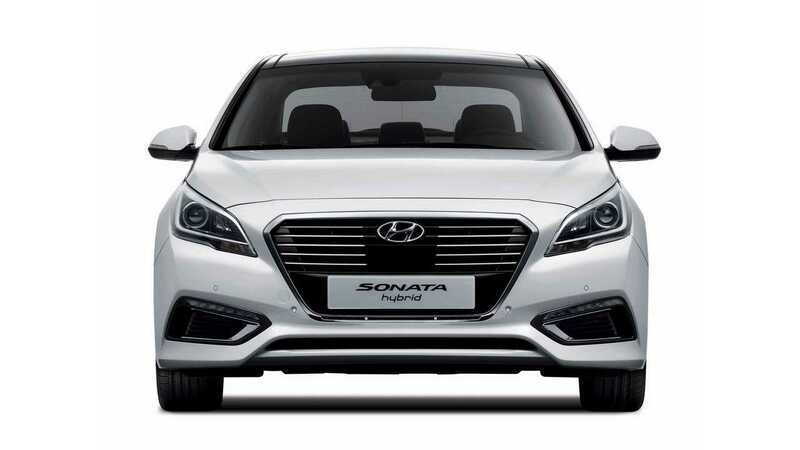 The all-new Sonata Hybrid also benefits from new, advanced safety systems including Lane Departure Warning, Forward Collision Warning, Rear Cross Traffic Alert, Rear Parking Sensors, Blind Spot Detection and Lane Change Assist. In addition to the full suite of passive safety technologies, the car also incorporates a new knee bag to prevent injury in the event of a collision. Access to the cabin is keyless thanks to a Smart Key, while the trunk can be entered ‘hands-free’ thanks to the Smart Trunk function. In addition, systems have been fitted to optimize driver comfort, including a powered and ventilated seat that has a four-way lumbar support, as well as Heated Steering Wheel and Smart Cruise Control for enhanced driving comfort on longer journeys. ※ The below figures of both models are Korean specs. Specs may vary depending on the regions. "